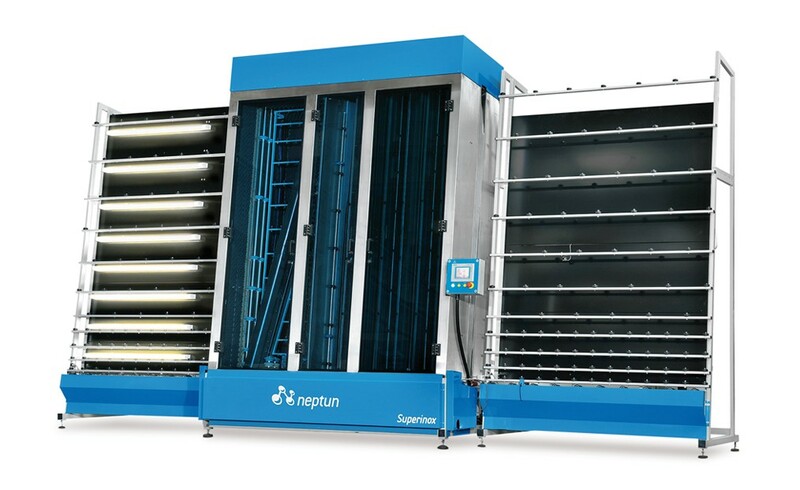 The vertical washing machine Superinox guarantees the best performances for washing and drying glass available on the market. It is completely made with a solid supporting structure in stainless steel with high thickness. All parts in contact with water, also in the drying area, are made in stainless steel and anticorrosion material. 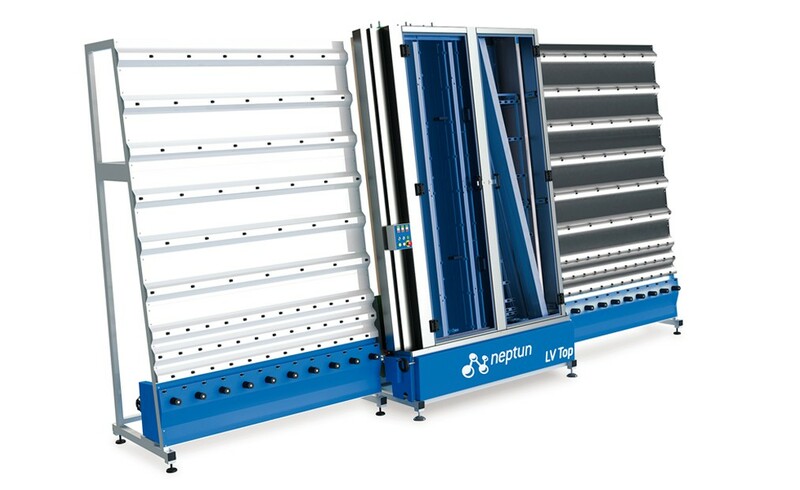 All drives are located on the upper part of the machine, guaranteeing absence of contact with water. Superinox is ready to process delicate glass, thanks to the automatic detection of low-E glass. The adjustment of the thickness is automatic. The control system through PLC with touch screen allows the management of speed, thickness and types of glass. Superinox can be equipped with various innovating solutions, which guarantee a superior level of performance, such as the patented system Ecosave, which reduces the energy consumption up to 60% and the system A-Qual, which allows the automatic management and control of the level of purity of the water. 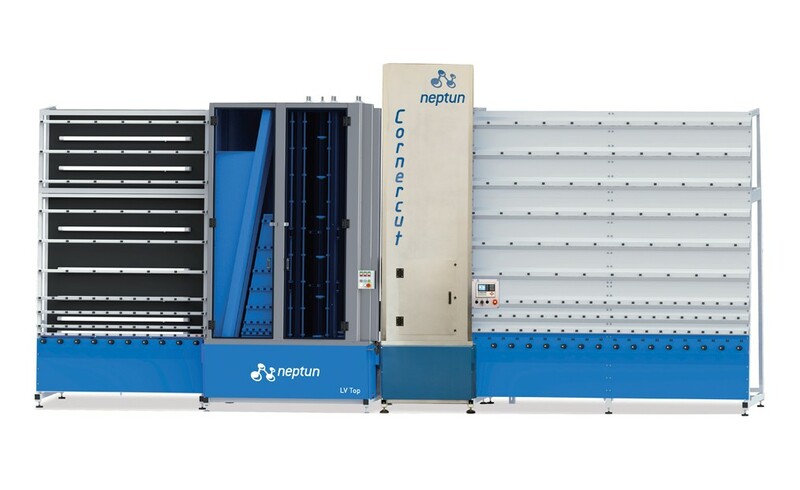 Superinox can be integrated with IG production lines and vertical working centers manufactured by Neptun or other manufacturers. Superinox can also be integrated with the CornerCut module, in order to combine automatic corner cutting in the washing process.